This is a very pretty pattern. Somehow I’ve never noticed it before, but I will have to check it out after seeing your lovely swatch! Thank you. 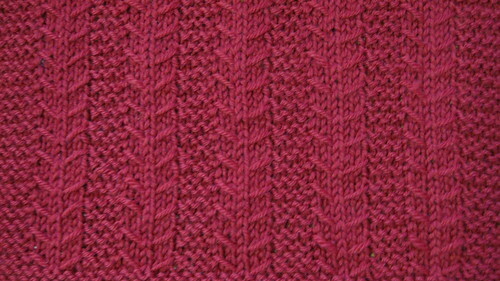 It’s actually very easy to knit and you don’t need to refer back to the pattern after a couple of repeats.